"The package provides the perfect starting point to integrate ElasticSearch into your Laravel application. It is carefully crafted to simplify the usage of ElasticSearch within the Laravel Framework. 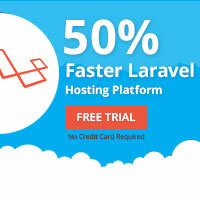 It’s built on top of the latest release of Laravel Scout, the official Laravel search package. Using this package, you are free to take advantage of all of Laravel Scout’s great features, and at the same time leverage the complete set of ElasticSearch’s search experience."